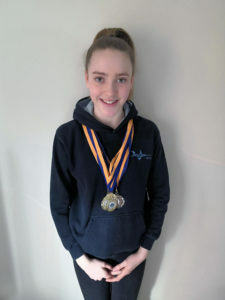 MELKSHAM swimmer, Molly Watts, is celebrating winning four gold medals at the Wiltshire Swimming Championships this month. Molly has been a member of Melksham Swordfish since she was 8 years old, training with Team Bath for the past 18 months. She recently competed in the Wiltshire Swimming Championships on Saturday 19th January. She represented Melksham Swordfish, competing in the ‘12 years and under’ age group winning four gold medals for 50 metre fly, 50m backstroke, 200m fly, 200m backstroke. Molly also won a silver medal in the 200m individual medley and bronze in the 200m freestyle. Molly will now compete at the South West England regional competition at Milfield in May.